The CAD AS32 Acousti-shield reduces reflections, echo and attenuates unwanted environmental acoustic interference. 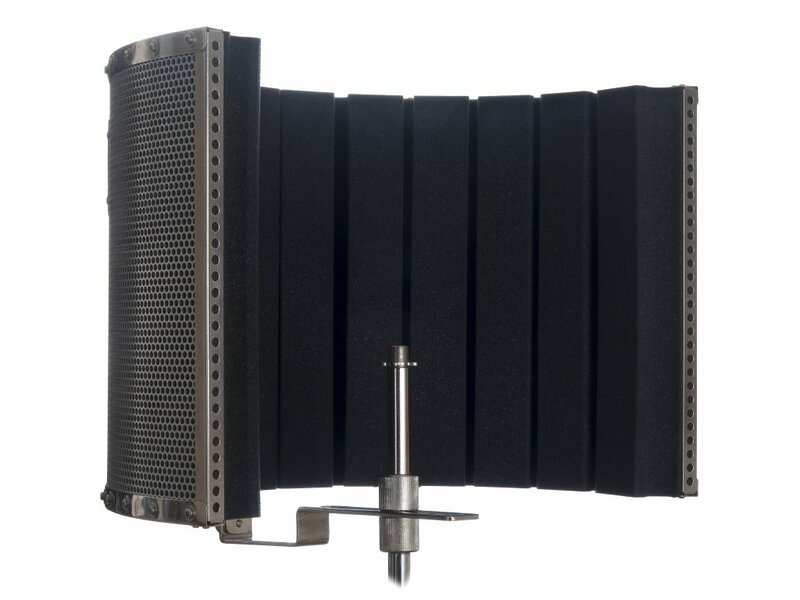 Constructed from a high quality 16 gauge perforated stainless steel shield mated to a 53mm high density micro cell acoustic foam, the AS32 results in a dry recording environment. Advanced mounting design allows for maximum positioning stability even when mounted to an economy mic stand. The CAD AS32 accommodates a variety of microphone designs and allows for creative control and a tailored acoustic result. The portable design allows for easy placement and simplified remote recording.